Ranch Llano Seco dates all the way back to 1844, when the last governor of Mexican California gifted the it as a land grant to Sebastian Keyser and John Sutter. In 1861, John Parrott, an ancestor of the owners the Thieriot family, bought the land. The land itself is 18,000 acres, roughly the size of the whole of Manhattan. It is a mixed enterprise of animals, crops, and wildlife – a cultivated and bio integrated piece of land preserved and valued for it’s history and unique harmony in biodiversity. The ranch lands are shaped naturally by the boundaries of the Sacramento River and the Chico Creek. Each of the fields and land borders have been carved out by the patterns of the river and many fields are named after the people that previously inhabited the land before it was cultivated. Today, the ranch is a beautiful example of positive coexistence of cultivated and wild, protected lands. The whole ecosystem is included in the ranch and how the ranch operates,“ says Olivia, a consultant with Rancho Llano Seco. Rancho Llano Seco has been raising livestock for over a century. When they decided to raise pigs, they tried multiple production methods. At one point, they were raising pigs in a similar fashion to the system that they use today – barns and A-frame structures with private outdoor paddocks and pens. Eventually, the ranchers decided to stop raising the hogs at this location. The original buildings and paddocks were left to nature and plants and wildlife certainly took over for over 30 years. 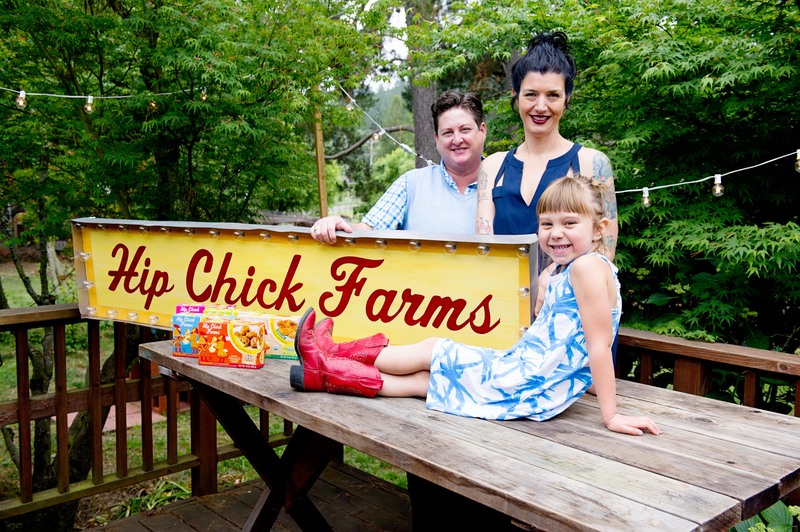 “It reminded us of a ghost-town tucked away in a little nook on our ranch.” Nickie said. 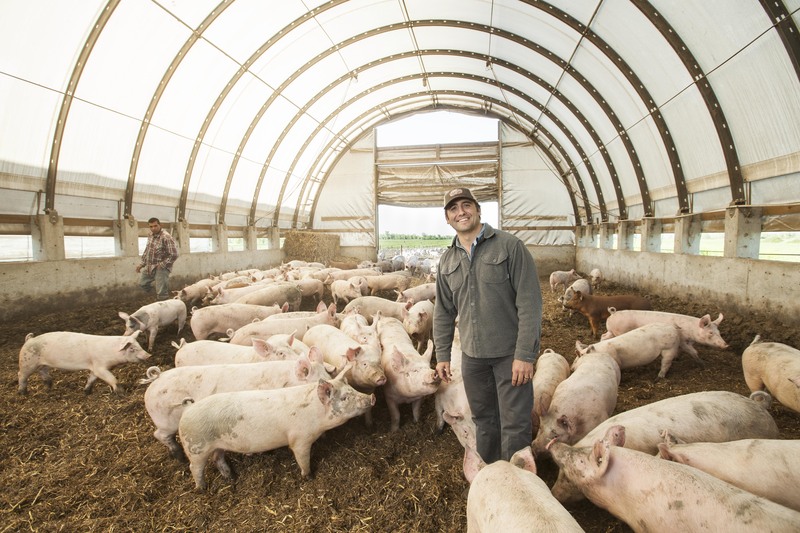 Rancho Llano Seco found success and expanded; and as such, overcame many of the issues and challenges that they faced when they started their pig operation originally. One of the positive challenges that they faced once they found their niche was finding the space to grow. Nickie and Olivia explained that while they could have constructed new barns, they saw the possibility and beauty in revamping the historical buildings that once housed the original pigs that were raised on the ranch. So the whole team embarked on a huge transformation project for the little ghost town. The team at Rancho Llano Seco said that they love the GAP program for many reasons- among them is that 5-Step program standards are very logical, feasible, and animal welfare-centered. Having worked with other specialty certifications in the past, they found that their animals and their farm didn’t flourish because of their unique soil based systems. “With GAP, we feel that we fit right in, and are allowed freedom to adjust based on our animals’ varying needs. In a soil-based outdoor system like ours, a comprehensive disease prevention program is paramount to the health of our herd. GAP allows us to administer a safe and healthy dose of de-wormer to our pigs, which has resulted in a vast improvement in the pigs’ well-being. GAP regulates production practices based on the key needs for wellness in livestock. But, then allows the producer freedom beyond those basic needs.” says Nickie. The ranch also raises cattle certified at a Step 4 under our Animal Welfare Standards.